It’s common in marketing to hear the question, “what problem does the product solve for the customer?” It’s valid and useful and justified. My tap is broken, so I’ll hire Harry’s Plumbing to fix it. I need a removalist, so I’ll pay Move with Jana to come and collect my stuff. I need a website, so I’ll get Melbourne IT to build it. However, purchases are rarely made purely on logic. There’s actually another layer to the decision. People also buy based on feelings. Whether they feel a bias towards a particular business in their gut, a tug on the emotional heartstrings or an alignment with the values of a business, all consumers want to feel good about their purchase decisions. 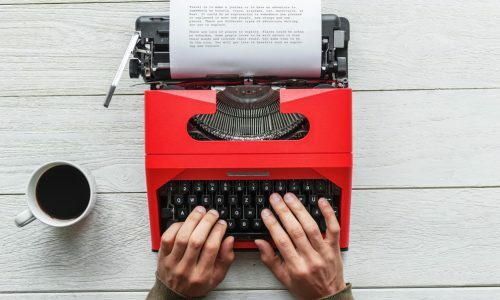 The best way to positively affect that sentiment is through storytelling – a golden opportunity for businesses to give themselves a personality to become relatable in a corporate climate where so many remain impersonal and indefinable. Consumers don't just purchase tech products from Apple stores, they buy into the brand, the customer experience, the values of the business and the sense of community it provides them. Marketing is about much more than just pointing to the benefits of any single product. Establishing an emotional connection between the customer and your brand is paramount to maintaining long-term relationships. These relationships are what can make a customer feel good (or not so good) about your business. The aim is to build as many quality relationships as possible. This is what we call a brand community. When you think of the word ‘community,’ what comes to mind? I think of family and friends, and that feeling of nurture and security. Fundamentally, communities are about forming and fostering relationships. Now, think about the brands you’ve had the best experiences with. Chances are they’ve made you feel a part of something bigger than just the immediate transaction. Lululemon Athletica have taken this concept to new heights with their almost-cult-like, worldwide community of health-conscious, inspired women, all with a passion for keeping fit. Lululemon approach their brand as a lifestyle and that lifestyle is what their customers fall in love with. Providing free morning yoga classes at their stores and constant reassurance and inspiration to the women wearing their clothes, the 'Lululemon Ladies,' as they’ve come to be known, are made to feel not just individually special but special as a conglomerate. This sense of community is where you can really affect the way people feel about your business. But how do you do it? It all starts with a good brand story. When you go to coffee with a friend or colleague, what do you do? Most people exchange stories. Mankind has been sharing stories for generations upon generations. They have become the basis for interaction and relationship building and, if you think back, historically, it’s the stories told that have bound communities together. This storytelling culture has become the root of our communities and something we all intrinsically crave. Some stories have circulated for centuries, others have only been told once; but, no matter the reach, humans relate to stories far more emotionally than logically. In order to build a solid brand story or narrative, you need to first establish your brand. This includes important decisions like company values, tone of voice, design aesthetic and target audience. Smart brands put in the hard yards early to ensure each of these elements are planned out thoughtfully. This enables them to hold true to them in the long term, giving their target audience the faith to stick with what they know. We can learn from big brands like Coca Cola, Nike and MacDonald’s when it comes to this type of comprehensive planning and precise brand execution, each of which have maintained their original brand through decades of audiences. How can you tell a brand story? Storytelling long precedes the written word but there are now countless progressive tools and formats with which to tell your tale. We now have the ability to tell stories through digital media like blogs, eBooks, images, video, podcasts, white papers, press releases and social media, in addition to the traditional written word. Through the use of any or a combination of these avenues your main goal is to describe different elements of your business. To develop your brand story, your focus should remain on business history (how your brand evolved); team values and motivation; and behind-the-scenes “sicky beak” content. The public perception of your brand is made up of the interactions you have with your consumers. These interactions are dominated by the stories you tell; the stories generated by your customers; the stories told by your partners; and the stories spread by your employees. Your brand image, which is highly influenced by your brand stories, has a huge impact on your customers’ purchase decisions. If a scenario arises where your product offering is identical to another company, your brand story is what is likely going to be the deciding factor. By forming an emotional connection with your audience through the expression of your company’s core values, you build trust and credibility in your target market. Content marketing is an advertising buzzword but, to distil it down, it’s really just storytelling. In the digital space, content marketing allows brands to identify who they are and what they do, show audiences how they solve problems and make valuable connections through customer engagement. Ensuring you are sending clear brand messages to your target audience it’s important to know how you want your business to be seen. Once you’ve established your brand conventions, you can start to shape the narrative to reflect your values. One of the most important vehicles for your brand story online is your website. Make sure your website is up to date with content that truly encapsulates what your business is about. If your website needs a refresh, or even if you’re starting from scratch, Melbourne IT can help you get back on your feet. Enquire about our website services today.